The NordicTrack E 11.7 Elliptical comes with an attractive 6" Backlit display. 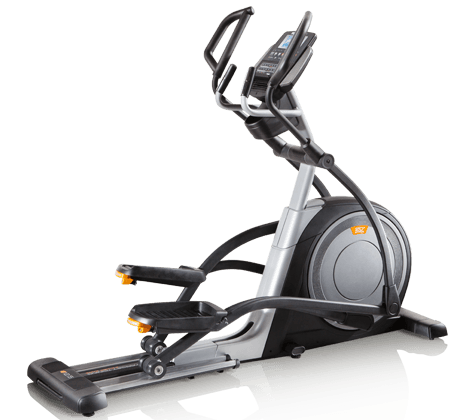 This elliptical features an adjustable oversized pedal, which helps for a comfortable workout. It supports 24 levels of digital resistance, offering different users to choice intensity of their own and shed desired calories. Its inertia enhanced flywheel helps for a smooth workout. Make your workout more intense by inclining your machine maximum upto 20 degree and get benefited. *Note: Most of the sites, stores or shopping portals listed above sell NordicTrack E 11.7 Elliptical with discounts and other exciting offers. There is a possibility that the some of above websites are not selling NordicTrack E 11.7 Elliptical now. Toughtrain.com is not liable for such cases or instances. Also we do not recommend any seller for NordicTrack E 11.7 Elliptical and a buyer should buy from where he/she gets best deal with quality of products, service and on time delivery (shipment).